The PurePressed Base and Compact will no longer be sold as a set. Supplies are limited!! Refills and Refillable Compacts are now sold separately. 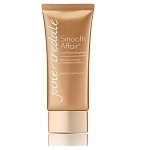 Create a sheer and semi-matte look with jane iredale PurePressed Base foundation. The feel is weightless. 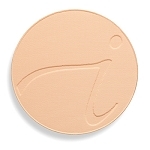 Trust jane iredale mineral foundation to look like your skin, only better. Light Diffusing, soft focus minerals with antioxidants. Because the minerals reflect light, they have a much wider color tolerance than most makeup. I was hesitant to spend this amount ($52) on makeup but my niece, an esthetician recommended this product. I love it! Very lightweight and natural looking. Worth every penny. 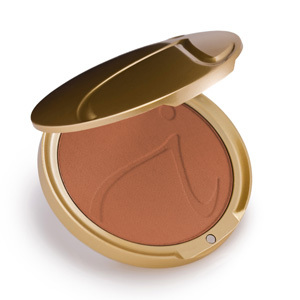 I have been using Jane Iredale products for 6 years. Only wish I would have found them earlier. The best thing ever! I can not be without this product. I tried to "save" money once by going with another "natural/mineral" makeup line and found I spent more as I needed to use more. 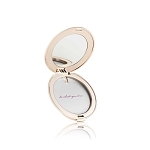 This pressed powder lasts longer for me so really, it's well worth it! Love it!!! everyone tells me I look so young. It is very natural and light. I love this foundation. I have been using it for 8 years. I first was introduced to it at my Dermatoligists office and since I moved I started buying it online. It is very natural looking and really evens out my skintone. One compact almost lasts me more then 6 months so it is worth the price. I also use the powder blush. I had my makeup applied by a professional for my daughter's wedding. This is the product they used for a foundation. I loved it, so purchased it. It goes on smoothly and lasts. Gives very nice, even coverage. The only product that evens out my skin tone without looking like "make-up." The SPF is important to me, too. I ordered the large compact after trying the sample kit. This way I got the color that worked best for me. I used this product years ago as it was recommended by a plastic surgeon. Best make up I have ever used. A little pricey but well worth the money. Apply on clean skin after moisturizer has absorbed with the Handi or Kabuki brush, or with included application sponge. 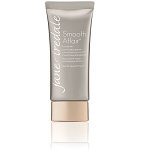 Reapply after prolonged sun exposure, excessive perspiration or after towel drying. Keep out of reach of children. Discontinue if signs of irritation or rash appear. Active Ingredients: Titanium Dioxide (CI 77891) 14%, Zinc Oxide (CI 77947) 3%. Ingredients: Mica (CI 77019), Boron Nitride, Dimethicone, Stearic Acid, Plankton Extract, Algae Extract, Pinus Strobus (Pine) Bark Extract, Punica Granatum (Pomegranate) Extract. May Contain: Iron Oxides (CI 77489, CI 77491, CI 77492, CI 77499), Ultramarines (CI 77007), Chromium Oxide Greens (CI 77288).